Calling all kids, pets and pet owners Solon Market is once again hosting their Dog Daze Pet Expo and Popular Pet Show Saturday, August 13 from 9 a.m. until 1 p.m. Bring your dog to Market for a free gift. The popular pet show, which benefits area rescues and services, begins at 11 a.m. Each child who enters will get a bag of goodies for them and their pets, courtesy of area businesses. The Market is adding a third prize this year for best costume. Two other grand prizes will be awarded for popular vote and most monies earned for area rescues (votes by cash). Prizes include dog beds, $25 gift cards, toys and treats. A local photographer has graciously offered to take photos of the entrants to share on Solon Market’s Facebook page and she will be available to do other portraits as well. 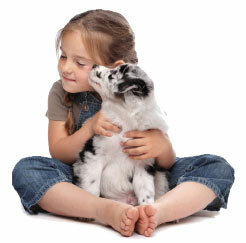 Children can register for the Pet Show by calling Vicky at 616-696-4227. Dogs and dog owners alike will enjoy the ambiance of the open Market, have a chance to visit with their neighbors and browse the 20+ Dog Daze booths inside, watch demos and visit the Market family as well. It’s free, it’s fun, it’s a dog’s dream. For more information or for a schedule of events and businesses, check out Solon Market’s page on Facebook. Like them for updates. Solon Market is located at 15185 Algoma Ave.